On 17 September 2013, Grand Theft Auto 5 (GTA V) published for the Playstation 3. From now on here we offer you all available GTA 5 cheat codes. The Cheats for GTA 5 as usual you have to enter the PS3 controller while the game is running. The cheats you have to enter in quick succession with the keys. Also the cheat codes are not saved, so that you can re-enter them again. 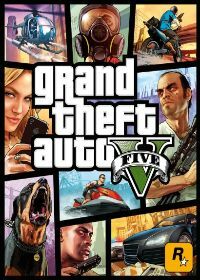 If you are looking for in GTA 5 on Playstation 3 too much from the guardian of the law, you can with this cheat code again to reduce the wanted level you and.. Here is the cheat code to increase the wanted level in GTA 5 on the PS3 and to be so hunted by more police. Give the cheat just a while Grand Theft Auto 5 ru.. This cheat code is used to charge all abilities (full power) again. Even the special ability of the character is recharged. The cheat is lik..
To run faster you only have to give in this GTA 5 cheat code. After you typed in this code with your controller you can walk and run faster. To change the weather in Los Santos and Blaine County you have to type in this cheat code. Give it in so many times you like to have that weather you like. To actived the Slow Motion Mode in GTA 5 you have to give in this cheat code with your PS 3 controller buttons quickly. This cheat code you can enter up to four times in a row, so that the objective function Slowmo slow down. After you´ve entered the cheat once, you are ..
Wenn ihr diesen Cheat Code für GTA 5 mit dem PS3 Controller eingibt, dann seid ihr betrunken und torkelt durch Los Santos or Blaine County. Should you explosive ammunition in Grand Theft Auto 5 search on the Playstation 3, then you can be helped with this cheat code. You only have to enter this w..
Also on the Playstation 3 you can in GTA 5 again explosive punches and kicks distribute. This happens after you have entered using the PS3 controller keys in..
GTA 5 in a parachute with a cheat code is finally available from the start. The parachute you will get by typing in this cheat code with the..
Also on the Playstation 3 you can watch in GTA 5 again armed helicopter Buzzard create a cheat (spawn). The cheat is always quick succession to enter the PS3.. The biplane stunt plane can you leave 5 on the Playstation 3 also spawn with a cheat code in GTA. The stunt plane appears in front of you after you´ve entere..
With this cheat code you can drivt in GTA 5 easely. Just give in the code and all vehicles are perfectly drifting.